Liquidation Sale- We are liquidating our current stock, therefore, what is listed is what we have available. We are no longer offering color/ fabric changes or personalization. Item will come as pictured. Bib expressions for boys and girl. 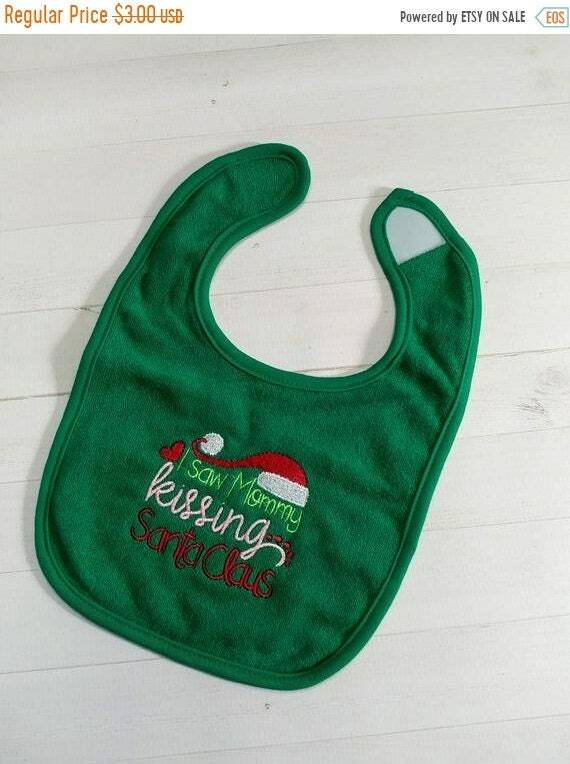 Bright Green terry cloth bib embroidered with the phrase, " I saw mommy kissing Santa Claus", done in line green, white, pink and red.